"We are not anymore just a small French prestige stove manufacturer. We deliver the ultimate Quality perennial bespoke fully integrated kitchen programs. We offer our exclusive culinary savoir faire in Kitchen Design". - Xavier Dupuy. 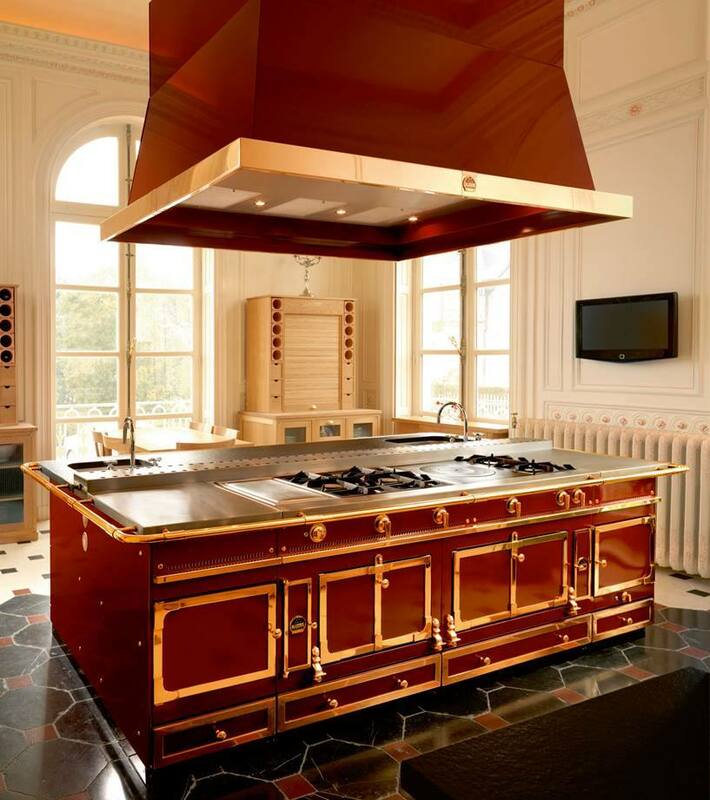 La Cornue is the only brand in the world that designs, produces and delivers bespoke fully equipped kitchens, from stove to wine cellars, to storage, to cabinetry, to culinary accessories. Over recent years the kitchen has become the heart of the house, and remains a complex, extraordinary place. Water, fire, refrigeration, ventilation, accessories, ingredients and spices are all cleverly brought together in this place of knowledge and love. It's a room where very specific skills are used to transform simple things.